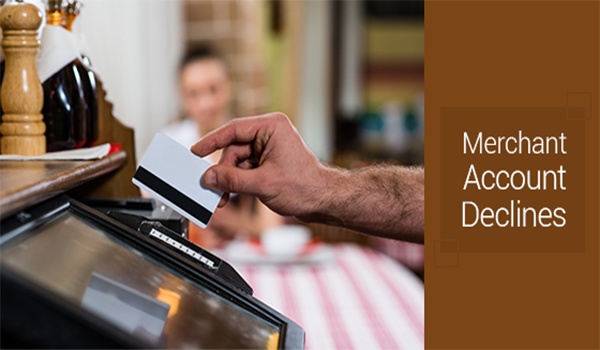 If you’ve been declined for a merchant account, you might be feeling confused or frustrated. However, there is often a clash between how you view your business and how a merchant account processor views it. For example, what you see as growth in your business, they may see as fraudulent activity. A processor will view all potential liabilities to save themselves from any risk – and they deal with a variety of business owners. Your personal credit history, as well as your business’s, will be a deciding factor in whether or not you’ll be accepted. If you’ve failed to pay bills in the past, you’ll become a red flag for a provider. Being knowledgeable about your credit score, as well as that of any business partners, will boost your acceptance chances. If the information communicated to the provider about your business regarding volume or growth does not match the “norms” known to your provider, you’ll likely be declined. The reason for this is that they might think your projected or current growth is unrealistic or possibly too optimistic. What you see as a success for your business, a provider will view as potential fraud, such as money laundering. This one might sound obvious, but you should resolve any active liens before you continue with a merchant account provider. Paying your dues in back taxes is a sure way to speed up an approval process. These are the top reasons for a merchant account decline but the list doesn’t necessarily end there. If you’re a high-risk business, providers will see you as a liability which can force you to jump through hurdles for your business. If you’re worried you might be unable to get approved, seek an expert in high-risk merchant accounts.